The Strange Horizons book club runs on the fourth Monday of each month, because there can never be too many discussions about interesting books. We post a round-table about a book that we think will be of interest to Strange Horizons readers, and then we hope you'll join us in the comments for further conversation. Book club selections include recent titles and older works, recognised classics and books we feel deserve more attention, novels, short story collections, and non-fiction. This page lists upcoming and recent discussions; a full list of book club round-tables can be found in our archives. Feel free to suggest books for future discussions! February 2015: Academic Exercises by K. J. Parker, discussed by Lila Garrott, Foz Meadows, and T. S. Miller. March 2015: Red Shift by Alan Garner, discussed by Maureen Kincaid Speller, Ethan Robinson, and Aishwarya Subramanian. 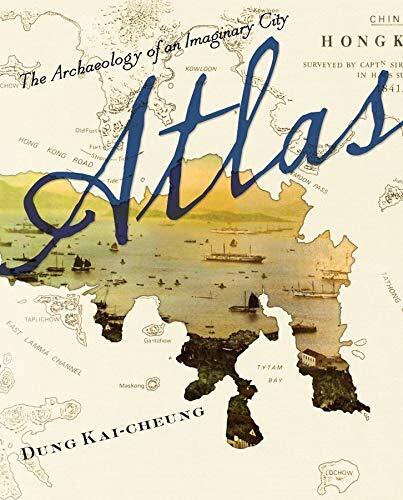 Dung Kai-Cheung's Atlas was the winner of the 2013 Science Fiction and Fantasy Long-Form Translation Award (translation by Anders Hansson, Bonnie S. McDougall, and the author). Compared by its blurbs to Auster, Borges and Calvino, Atlas is written from the perspective of future archaeologists struggling to understand a metropolis of the past. Sofia Samatar reviewed it for us, describing it as "a glossary of many languages&emdash;of the languages in which it was written, the language of translation, the clashing and melding languages of coloniser and colonised, the languages of memoirist and scholar, the languages of the fantastic." 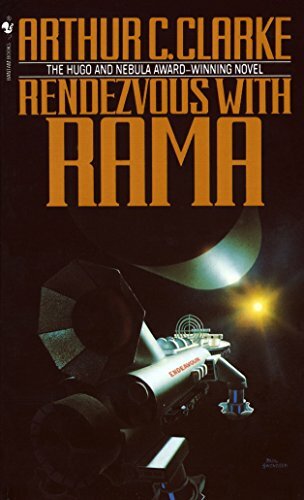 First published in 1973, and winner of both the Hugo and Nebula Awards, Rendezvous with Rama is one of Arthur C. Clarke's best-known works. "Rama is a vast alien spacecraft that enters the Solar System. 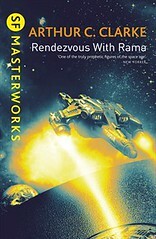 A perfect cylinder some fifty kilometres long, spinning rapidly, racing through space, Rama is a technological marvel, a mysterious and deeply enigmatic alien artifact. 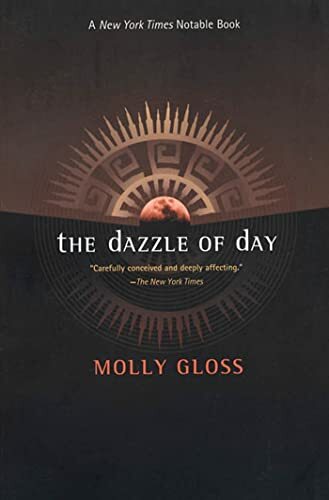 It is Mankind's first visitor from the stars, and must be investigated..."
Molly Gloss's third novel is one of the best generation starship stories of the past two decades. "A story about people who have grown up on a ship that is traveling to a new world, and about the society and culture that have evolved among them by the time they arrive at their new home planet"; it was short-listed for the James Tiptree, Jr. Award. Read Jo Walton's appreciation at Tor.com. 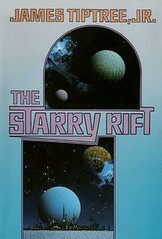 24 August 2015: The Starry Rift by James Tiptree, Jr. This collection of linked novellas by James Tiptree, Jr includes the Hugo- and Nebula-nominated novella, "The Only Neat Thing to Do." The stories explore the challenges faced by humanity as it expands into the galaxy, telling the stories of a headstrong teenaged runaway who makes first contact, a young officer on a deep-space salvage mission who discovers an exact double of a woman he thought he'd lost, and the crew of an exploration ship who must plead for the human race to avert an interstellar war. "Ten billion days—that is how long it will take the philosopher Plato to determine the true systems of the world. One hundred billion nights—that is how far into the future Jesus of Nazareth, Siddhartha, and the demigod Asura will travel to witness the end of all worlds." 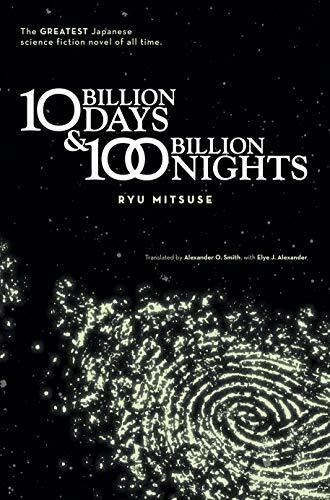 Voted Japan's greatest SF novel in a 2006 poll of readers of SF Magazine in Japan, 10 Billion Days and 100 Billion Nights is a Clarkean epic ranging from the dawn of humanity to the heat death of the universe. It was first published in 1967, and translated into English in 2011. Niall Harrison is Editor-in-Chief of Strange Horizons. This is a very good idea. Now I have to findthe time to read the first book by the 27th! By partnering twice a year with sub-Q, SH will bring new eyeballs to interactive fiction, new voices to its pages, and emotional, unforgettable, revolutionary stories to your screen. Our plan is to publish respectful English-language translations of speculative fiction stories from around the world alongside the originals, and to provide readers with a closer view of different traditions through podcasts, reviews, interviews, and articles. It's your donations that enable us to pay our contributors and to keep publishing each week. The report published earlier this month by Fireside magazine , which found that of 2,039 original stories published by 63 SF magazines in 2015, only 38 were by black authors, indicates an unambiguous failure on the part of the SF field and, because we know our own numbers and they're in the spreadsheet accompanying the report, an unambiguous failure on the part of Strange Horizons .